Loftsails’ 4-batten manoeuvre wave sail has undergone a complete redesign for 2017, under the knife of the brand’s founder and designer, Monty Spindler. Said to be “based on the same ‘breathing’ shape parameters as the new PureLip”, the WaveScape has a new batten layout, the bottom batten repositioned to stabilise a deep foot profile for low down drive, whilst the leech is freed up to twist and release during critical moments. Dressed in carefully selected x-ply cloth of varying thicknesses throughout its panels, it is made to withstand all that a wave environment can throw at it. It also possesses all the fine detailing we have come to expect from the Loftsails brand, including one of the longest and most user-friendly moulded tack fairings on the market, incorporating a long strip of Velcro to make the tack super accessible. Compatible with both SDM and RDMs, the Wave Scape is tested here on a Team Edition RDM. Rigged on a 370cm mast, the WaveScape benefits from a fair amount of luff curve, the battens pulling away from the mast, with little rotation in the bottom two battens whilst the leech opens progressively along its length. 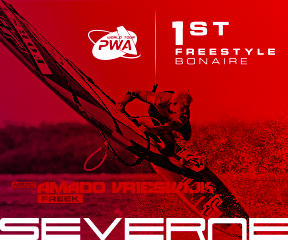 On the water the WaveScape feels balanced and poised, with a relatively high skin tension and the centre of effort placed low down in the foil. It has easily the longest boom length in the group and combined with use of the top clew eyelet, provides positive useable feedback through the backhand, enabling you to make the most of marginal winds. 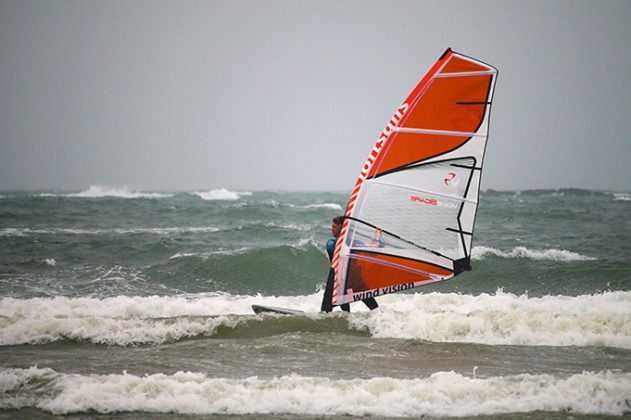 There is plenty of sail area and shape below the boom, seemingly generating the power of a sail half a meter bigger, and in transition the power can be put to good use, driving through the turn, feeling balanced and predictable throughout. There is some play in the luff tube as the sail is pulled in and eased out, providing a degree of ease and softness to the delivery, before the effect of the taut x-ply luff panel takes over and provides the response. 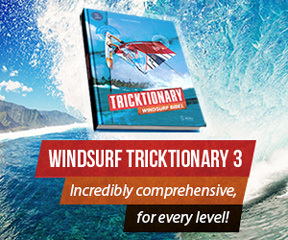 Whilst low, the centre of effort is also placed further back in the draft, focussed around the rider and ideal for partnering modern multi-fin wave-boards, where the stance tends to be shifted back right over the fins. As the conditions increase, a little adjustment in tension makes a big difference, opening the leech further. Include the use of the lower clew eyelet and the WaveScape’s stability is assured. It feels supremely locked in and dependable; not as light or on-off in the hands as some others in the group during manoeuvres, yet the power is always ready and willing at the critical moment, accessible to the rider due to its location right at the nerve centre of the action. 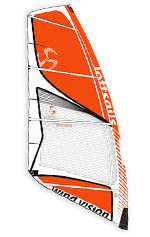 Providing useable rider-focussed power across a wide tuneable range, the WaveScape compliments the PureLip in the Loftsails range, offering a different feel and balance yet possessing the same signature dependability.